I, as well as some of you, have participated in blog partner challenges before where we get to come up with a unique design using specified materials or themes from beading suppliers. It's a lot of fun. 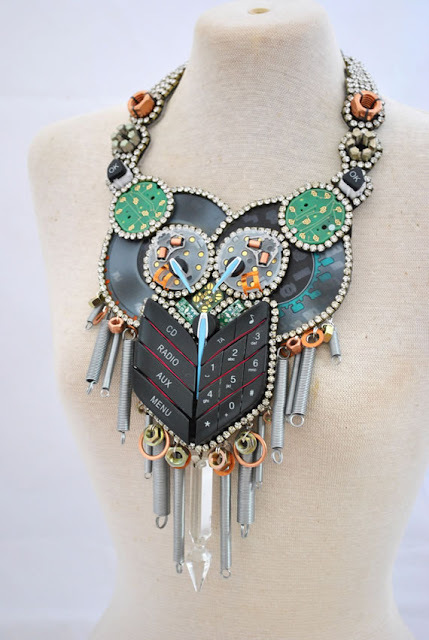 But what if a car manufacturer asked you to design a necklace using just car parts? That's the challenge designer Katherine Hawkins faced when Ford UK came knocking at her door. The company wanted to celebrate 100 years of Ford presence in the UK last year and the commission was part of their promotional plans. Katherine did well to come up with her luxurious looking bib style necklace. 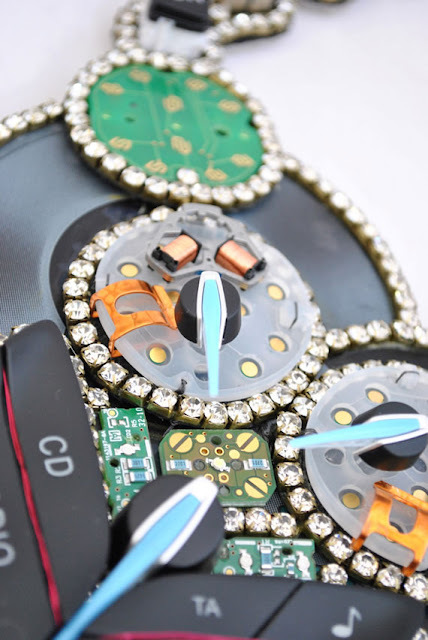 She worked with parts from a Ford Focus but added rhinestones for extra glamor. Her attention to detail is evident. Didn't she do well? Carlashes - Crystal Eyeliner and Eyelashes for Your Car! Wow! That necklace is awesome, and the rhinestones are a perfect finishing touch. Well, that's one way to recycle a dead car!! LOL! Very imaginative ! Katherine certainly met Ford's challenge beautifully. Her finished piece reminds me of Steampunk goes high tech.